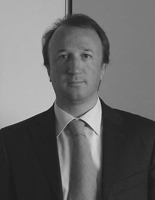 Marco Moraja is Business Manager at SAES getters, Milano, Italy. After graduating in Electronics in 1994 at the Polytechnic University of Milano, Marco Moraja spent one year period in a post university research activity in biochemical robotics screening systems at DIBIT Biotechnology Department of Milano S. Raffaele Hospital. In 1995 he joined SAES getters as project engineer in R&D corporate laboratories. In 1998 he took the responsibility of the Vacuum system laboratory and launched MEMS getter film basic research activities. From 2004, as Business Development Manager of the getter for MEMS Business Unit, he took the responsibility of SAES getters MEMS products line. He authored and co-authored more than 20 technical and scientific papers, being inventor or co-inventor of more than 10 international patents, most of them directly related to MEMS applications. This course will take place the day before the EMPC Conference in Pisa, Italy. Low cost and reliability are the main important factors for the successful commercialization of MEMs devices. It is possible to decrease packaging costs by shifting from ceramic packages to wafer to wafer level packaging. On the other hand, the ability to maintain the suitable environmental conditions either vacuum or inert gas inside the package of electronics devices like is the key for assuring high reliability performances. The pressure requirements of some hermetically packaged devices such as gyroscopes, resonators, IR bolometers, RF devices and optical mirrors are very stringent. Due to the desorption phenomena of gaseous species from the internal surfaces, the vacuum inside such a electronic devices, after bonding encapsulation, tends to degrade. Post process vacuum quality control and reliability for hermetic bonding is extremely important for overall device reliability and process yield. In this course we analyze the main factors that are critical in the vacuum design of hermetically sealed devices. Comparisons evaluation of wafer level bonding techniques, gas sources, outgassing profiles of different materials used in MEMS as well as getter solutions are presented and discussed. We introduce a novel calculation model for vacuum sealed device lifetime prediction. New analytical method based on single die residual gas analyses (RGA) is presented. The course is structured to be supportive to packaging engineers, MEMS bonding process engineers and generally to R&D personals that work in electronics devices design activities.